Natanz is located between Isfahan and Kashan in central Iran. The facility is reportedly 100 miles north of Esfahan, and is located in old Kashan-Natanz, near a village called Deh-Zireh, itself located about 25 miles southeast of Kashan, and falls under the jurisdiction of the Governor’s Office of Kashan. Officially a project aimed at the eradication of deserts, construction on the facility was said to have begun in 2000 and was being carried out by the Jahad-e Towse’eh and Towese’eh-Sakhteman construction companies. As of mid-2002, construction was not due to be completed until 2003, at which point, installation of the technical facilities would begin. According to the NCRI, as of August 2002, the project had cost 95 billion toumans. Funding had been provided by the Supreme National Security Council and was outside of the supervisory purview of the Budget and Planning Organization. A front company had specifically been created for project. Named Kala-Electric, whose headquarters were located in Tehran, it met all requirements for the project’s facilities and equipment and was run by Davood Aqajani, who was also the managing director for the Natanz heavy water project. Officials from the company reportedly made a number of trips to both China and India in 2001. The head of Atomic Enery Agency of Iran, Gholamreza Aghazadeh, reportedly pays visits to the site every months in order to oversee progress on the facility. 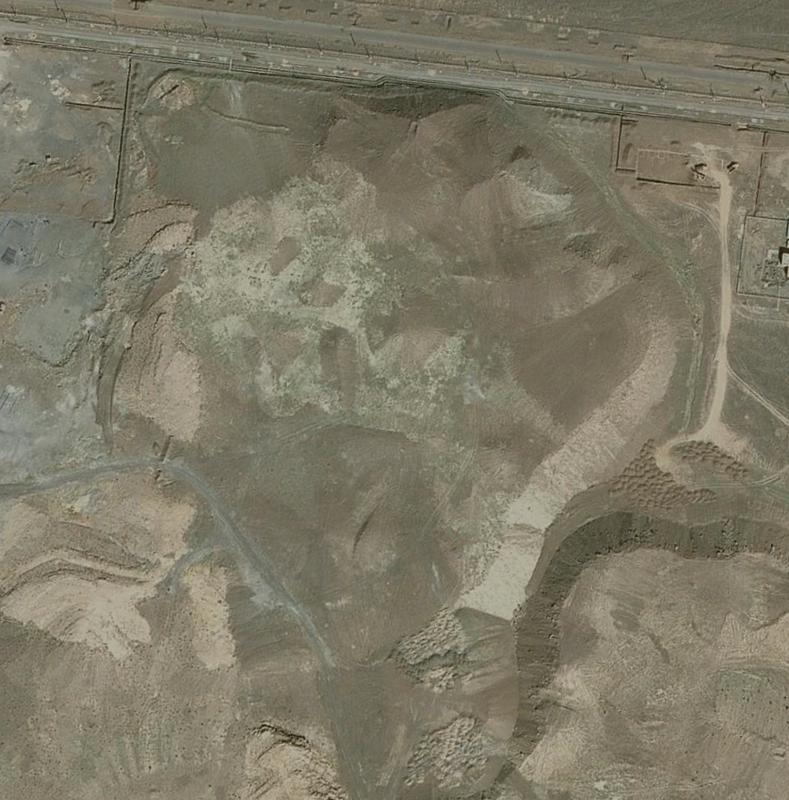 The Institute for Science and International Security (ISIS) on 12 December 2002 released an issue brief expressing concern that Iran was trying to develop “the capability to make separated plutonium and highly enriched uranium, the two main nuclear explosive materials.” ISIS acquired satellite imagery of a site in Natanz, about 40 kilometers southeast of Kashan, which could have been a gas-centrifuge facility for uranium enrichment. Iran strongly rejected the allegations and reiterated that the two plants were intended to generate electricity. “In the next 20 years, Iran has to produce 6,000 megawatts of electricity by nuclear plants and the launch of these two centers are aimed at producing necessary fuel for these plants,” Foreign Minister Kamal Kharrazi said. Tehran later invited the International Atomic Energy Agency (IAEA) to travel to Iran to inspect both facilities, an offer which has been accepted. “We have been in contacts with the IAEA over these two centers and we will officially invite them for inspections since the agency must inspect them and carry out their necessary planning and supervision before the centers are put into operation,” Foreign Minister Kamal Kharrazi said. On 10 February 2003 Gholamreza Aqazadeh, the head of Iran’s Atomic Energy Organization (IAEO), said that Iran had started an ambitious nuclear energy program and was poised to begin processing uranium. He said that the uranium ore processing plant should come on line soon in the central city of Isfahan and preliminary work had begun on a uranium enrichment plant. Aqazadeh said the first steps had been taken to build an enrichment plant, “but we still have a long way to go to have this plant come onstream.” Aqazadeh said the enrichment plant would be built in Kashan (at Natanz) in central Iran. The fuel would come from another facility in Isfahan, where a Uranium Conversion Facility (UCF) was close to inauguration. The IAEA’s inspectors visited Iran on 21 February 2003 to look at nuclear facilities under construction there. “We will be looking at facilities not even completed yet that are not formally under safeguards,” as chief IAEA spokesman Mark Gwozdecky put it. The visit was the “first step in a process of many visits to understand the architecture of the place and to design the most effective monitoring regime for that facility.” American officials believed new nuclear facilities in Iran could be used to make nuclear weapons. IAEA Director General Mohamed El Baradei visited the site on 21 February 2003, in the first visit by the UN chartered IAEA. During this visit, the Director General was informed by Iran of its uranium enrichment plant (PFEP) nearing completion of construction, and a large commercial-scale fuel enrichment plant (FEP) also under construction. It was reported on 26 August 2003, that the IAEA had found particles of highly enriched uranium in environmental samples taken at Natanz. These findings were released in a report whose distribution was initially restricted to the organization’s 35-nation Board of Governors. During the discussions, which took place in August 2004, Iran repeated that, although the design drawings of a P-2 centrifuge had been acquired in 1995, no work on P-2 centrifuges was carried out until early 2002 when, according to Iran, the IAEO management decided that “work on a modified P-2 machine based on a sub-critical rotor design would not hurt,” and, in March 2002, a contract to study the mechanical properties of the P-2 centrifuge was signed with a small private company. Iran stated that no feasibility or other preliminary studies or experiments were conducted by Iran during the period between 1995 and 2002. Iranian officials also stated that, in spite of frequent contacts between 1995 and 1999 on P-1 centrifuge issues with the intermediaries (who, according to Iran, had provided both the P-1 and P-2 drawings), the topic of P-2 centrifuges was not addressed at all in those meetings nor in the course of making any other foreign contacts. Iran attributed this to the fact that a decision had been made to concentrate on the P-1 centrifuge enrichment program, and that, in addition, the IAEO was undergoing senior management and organizational changes during that period of time. IAEA Director General Mohamed El Baradei visited the site on 21 February, in the first visit by the UN-chartered IAEA. This visit disclosed about 160 new centrifuges in the nuclear complex that were said to have been tested and judged fully operational according to the Bush administration. The machines at PFEP at Natanz could be recognized as an early European design, and it was not possible to develop enrichment technology, to the level seen at Natanz, based solely on open source information and computer simulations, without process testing with UF6. In accordance with its standard practice, the Agency took baseline environmental samples at PFEP at Natanz before nuclear material was introduced in the facility. This baseline sampling campaign was conducted during inspections carried out between March and June 2003, and samples were taken at many locations within the facility. While the Agency had already received the results from some of the samples, which have been provided to Iran, other samples were still being analysed by a number of laboratories that participated in the Agency’s Network of Analytical Laboratories. Iran stated that it had not carried out any enrichment and that no nuclear material was introduced to the PFEP prior to the Agency’s having taken its first baseline environmental samples there. However, the sampling results, which were provided to Iran on 11 June 2003, revealed particles of highly enriched uranium. During the 10–13 July and 9–12 August 2003 technical meetings, more complete environmental sampling results were provided to Iran and the matter was discussed further. The PFEP environmental sample results indicated the possible presence in Iran of enriched uranium, material that was not on its inventory of declared nuclear material. During the August 2003 meeting, Iranian authorities indicated that they had carried out extensive investigation with a view to resolving this question, and had come to the conclusion that the enriched uranium particles that had been detected must have resulted from contamination originating from centrifuge components, which had been imported by Iran. At that meeting, Agency inspectors explained that subsequent environmental sample analysis revealed the presence of two types of enriched uranium, and noted that there had been differences among the samples taken from the surfaces of the centrifuge casings installed for the single machine tests. The Agency asked the Iranian authorities to investigate whether there were differences in the manufacturing history of those pieces of equipment. To investigate this matter further, the Agency took two additional samples from centrifuge components, which were said to have been imported and those said to have been produced domestically. On 25 June 2003, Iran introduced UF6 into the first centrifuge for the purpose of single machine testing, and on 19 August 2003 began the testing of a small ten-machine cascade with UF6. Iran continued to cooperate with the Agency in implementing safeguards measures subsequently put in place at PFEP for monitoring single machine and small cascade testing. After Iran agreed to a suspension of all uranium related enrichment and conversion activities, which had been in place since November 2004, the IAEA received a letter on 3 January 2006 from Iran stating its intention to resume enrichment at Natanz. On 7 January 2006, another letter was received from Iran, requesting that the IAEA remove the seals in place at the Natanz facility. Iran subsequently conducted substantial renovation of the gas handling system at the PFEP. On 8 February 2006, Iran released an updated design description for the PFEP to the IAEA. On 11 February 2006, Iran started enrichment tests by feeding a single P-1 centrifuge machine with UF6 gas. By 15 February and 22 February, a 10-machine cascade and 20-machine cascade were also tested. Covering 100,000 m2, the Fuel Enrichment Plant (FEP) complex, according to the NCRI, boasted two 25,000-meter halls, built 8 meters-deep into the ground and protected by a concrete wall 2.5 meters thick, itself protected by another concrete wall. Also present at the site are a number of administrative buildings. 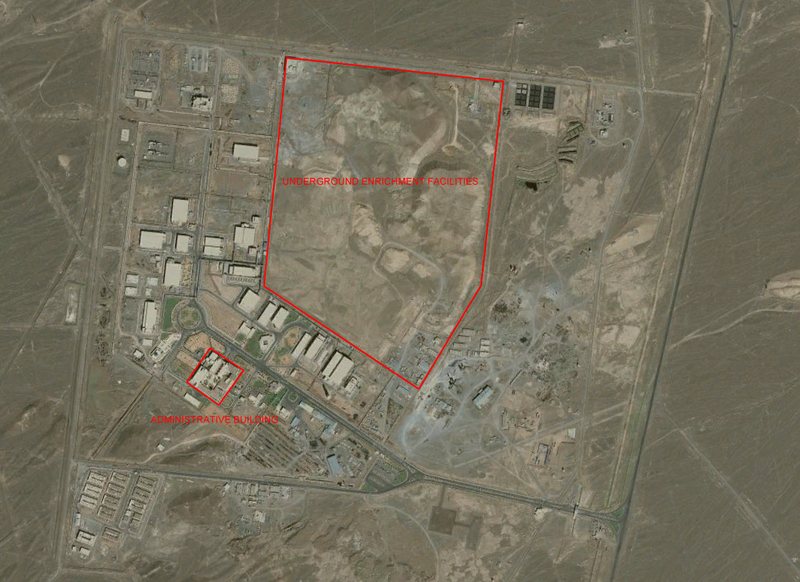 Some observers suggested that the Natanz site appeared to be too large to be Iran’s first enriched uranium facility, suggesting that Iran might already have been operating a smaller pilot plant elsewhere. However, this assumed that the Iranian enrichment effort was indigenous, rather than a product of collaboration with Pakistan. According to some estimates, the advanced centrifuge complex might house as many as 50,000 centrifuges, producing enough weapons-grade uranium for several dozen (over 20) weapons per year when completed at the end of the decade. Other estimates suggested the facility would house a total of 5,000 centrifuges when the initial stage of the project was completed in 2005. At that point, Iran would be capable of producing enough enriched uranium for several nuclear weapons each year. 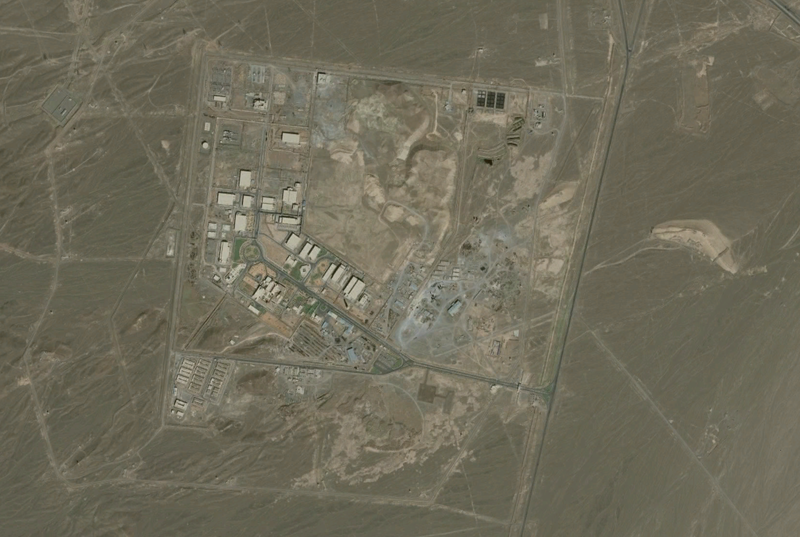 At a 13 December 2002 briefing, State Department spokesman Richard Boucher told reporters the facility was being built partially underground, and as such was inconsistent with Iran’s claims that its nuclear intentions were peaceful: “It appears from the imagery that a service road, several small structures, and perhaps three large structures are being build below grade, and some of these are already being covered with earth. 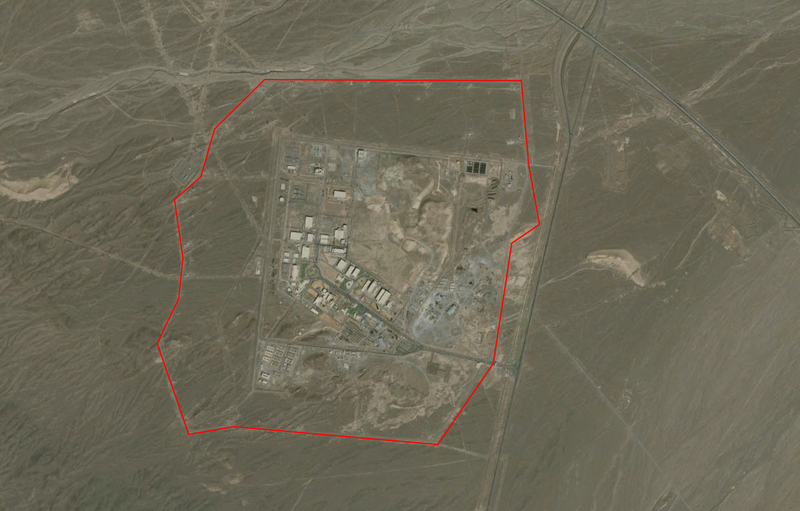 Iran clearly intended to harden and bury that facility. That facility was probably never intended by Iran to be a declared component of the peaceful program. 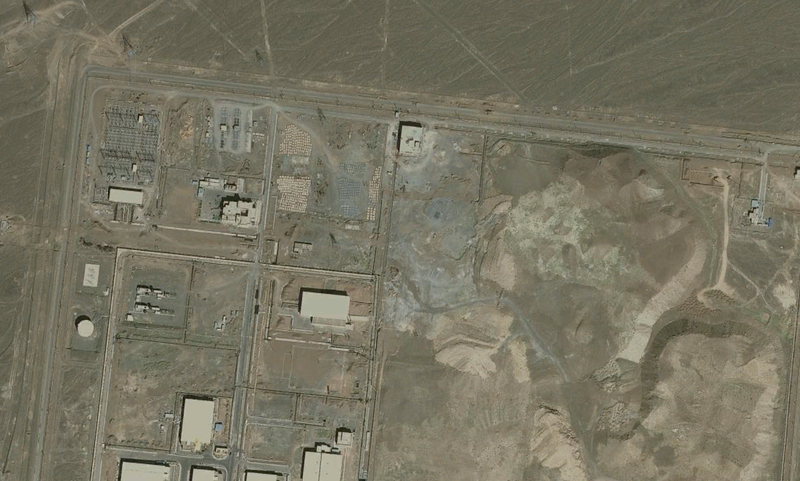 Instead Iran has been caught constructing a secret underground site where it could produce fissile material.” Based upon what Boucher termed “hard evidence,” Iran appeared to be constructing a uranium enrichment plant at Nantaz, as well as a heavy water plant. “The suspect uranium-enrichment plant…could be used to produce highly-enriched uranium for weapons. The heavy-water plant could support a reactor for producing weapons-grade plutonium. 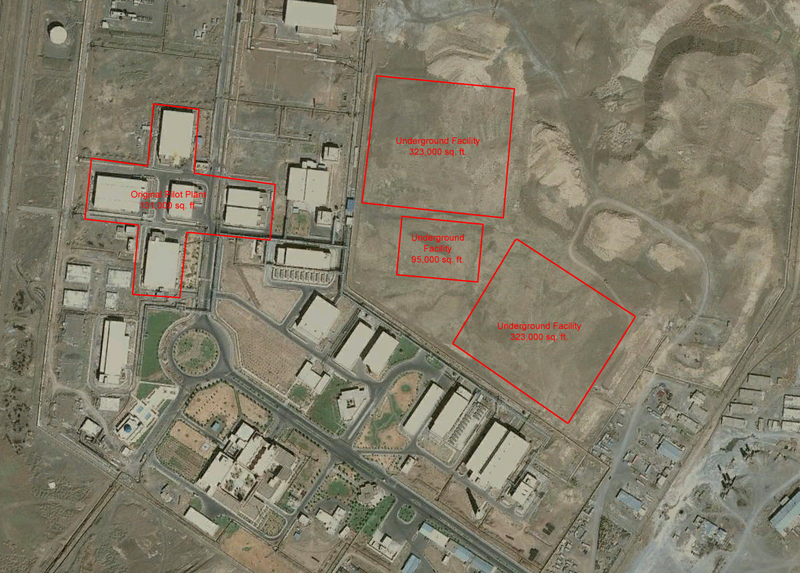 These facilities are not justified by the needs of Iran’s civilian nuclear program,” he said. IAEA Director General Mohamed El Baradei visited the site on 21 February 2003. In a nearby building, workers were assembling parts for 1,000 more centrifuges as of February 2003. Supreme National Security Council Secretary Hojjatoleslam Hassan Rohani said at Tehran’s Imam Khomeini Mosque on 3 March 2003 that nuclear sites at Natanz in Isfahan would be inaugurated early in the Iranian year, which began on 21 March 2003. Rohani said the “gigantic nuclear site of Isfahan” took two years to build and “the use of the nuclear technology would reinforce the authority of Iran’s system.” Rohani said the Natanz facility would enrich uranium extracted in Yazd Province and that upon the inauguration of the Natanz facility, Iran would be self-sufficient in producing the fuel to run its nuclear-power stations. Such self-sufficiency would obviate the need for nuclear fuel from Russia, thereby eliminating a level of control over Iran’s ability to divert spent fuel for the manufacture of nuclear weapons. By mid-2004 the Natanz centrifuge facility was hardened with a roof of several meters of reinforced concrete and buried under a layer of earth some 75 feet deep. The FEP was originally scheduled to be completed in 2005. The IAEA reported in June 2006, as part of verifying the design documentation supplied by Iranian authorities, that construction work still continued at the FEP facility. The IAEA received the updated design information from Iran concerning the FEP on 8 February 2006. The IAEA estimated that the installation of the first 3000 P-1 centrifuge machines at the FEP was planned for the fourth quarter of 2006 based on the movement of necessary equipment into the FEP buildings. The exact number of centrifuges in operation at Natanz continued to be a source of contention, with conflict numbers reported by various news, intelligence, and other organizations.